The classics never go out of style. 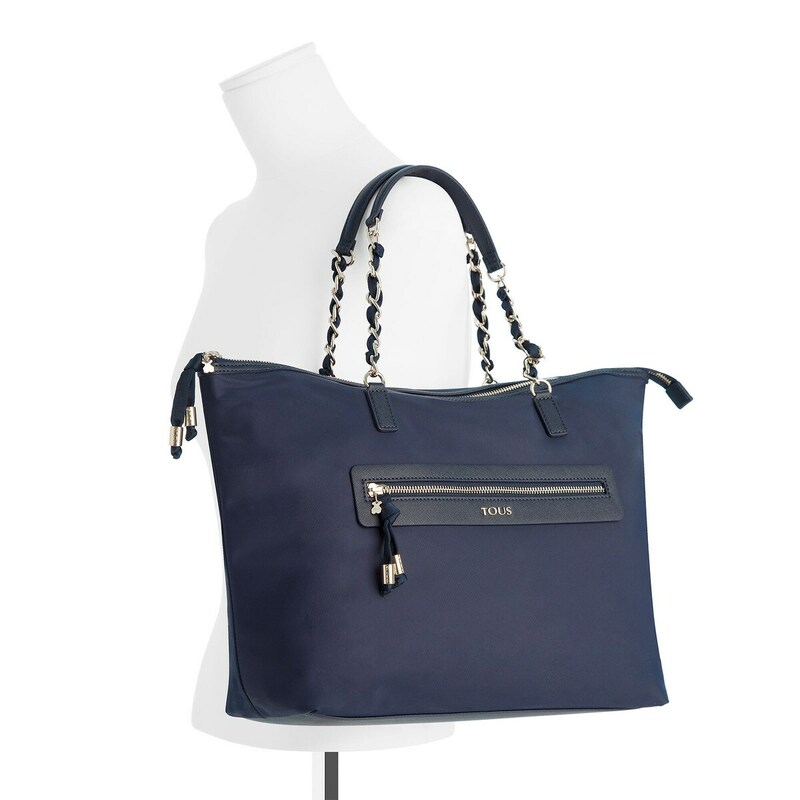 Take this navy tote bag, with its impeccable elegant finishes that make it your wardrobe’s must-have. 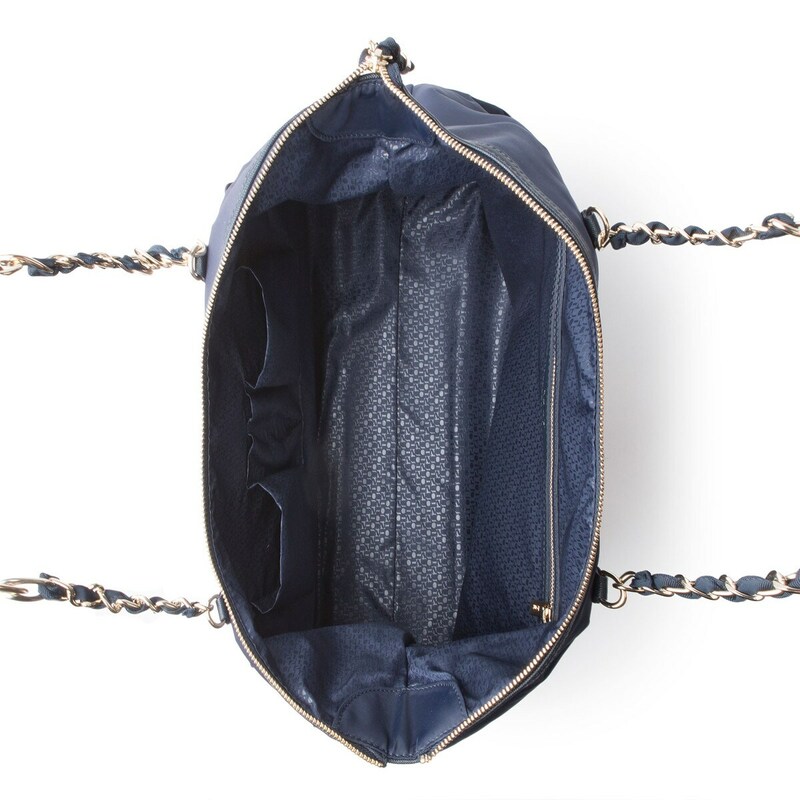 TOUS Brunock Chain collection bag Marotta model in navy blue nylon. Zipper closure. One exterior compartment with zipper closure. Measurements: 31cm x 36cm x 14cm.